Traditional Chinese Medicine is based on the belief that an essential life force called qi (“chee”) flows through the body along channels called meridians. These meridians are like rivers that irrigate the body and nourish its’ tissues. Any obstruction along one of the meridians is like a dam that blocks the vital energy flow, creating pain and disease. Qi (pronounced chee), the life force energy of the body, runs in pathways both across the surface of the body and deep inside touching the organs. In a positive state of health these pathways are balanced one with another. However, our lives are full of stresses. Stress, whether long-term, short-term, physical or emotional can easily throw the pathways of Qi out of balance, causing undesirable symptoms. Maybe stress in a marriage will result in persistent migraines and insomnia, perhaps long-term illness will lead to depression which can further complicate the initial problem. Sometimes discontent with one’s job might result in chronic fatigue, or even jogging in sore knees. The body has a remarkable ability for healing itself. However, if the stress is too great or if the body is already for some reason in a weakened state, it may take a long time to heal. Worse still, the body may fail to heal altogether, leaving one with a persistent distressing symptom. At this point, acupuncture, with the insertion of needles into the surface pathways of Qi can cause the symptoms to disappear. The needles do not of themselves make you better: they simply remind the body how to heal itself. In a typical session you will probably have anywhere from 3-12 needles which will stay in for about 10 – 20 minutes. The needle sensation that people describe varies from “nothing” to “a slight jolt”, a “tugging feeling”, to a “slight sting”. More important than the needle sensation though, is the overall feeling of peace and wellbeing which people experience while having treatment. Sometimes treatment can produce an instant emotional response, but equally often, the patient feels nothing for a few days. 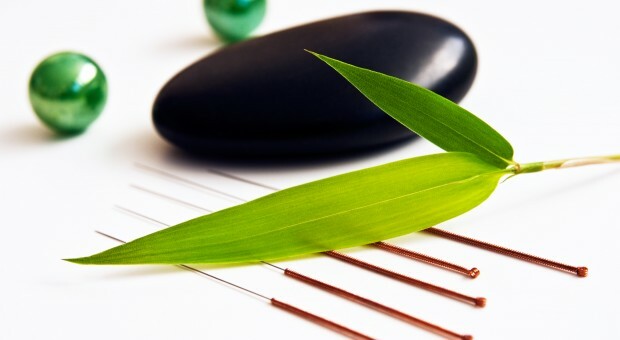 In China, acupuncture was used as part of traditional Chinese medicine for thousands of years, as the only system of medicine – this has meant that it has developed the flexibility to treat and diagnose a huge variety of conditions and people. Practitioners of Chinese medicine are usually generalists (like GPS) so whilst Chinese medicine is well known for its great results with certain conditions, this doesn’t necessarily mean it can’t treat others.